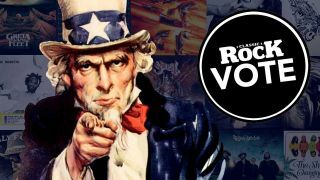 Yesterday we revealed our 50 Favourite Albums Of 2018, a list we compiled by polling Classic Rock staff and freelancers (spoiler alert: Greta Van Fleet didn't win). Now we'd like to paint the definitive picture of 2018 according to the people who go to the gigs we don't and the people who buy the music we don't. We've listed our own Top 50, alphabetised, to provide some food for thought, but don't feel obliged to choose one of them: if your favourite release of 2018 isn't shown, add it in the 'Other' field at the bottom using the format artist name: album name. The poll will close at midnight on New Years Eve, and we'll reveal the results in the New Year.